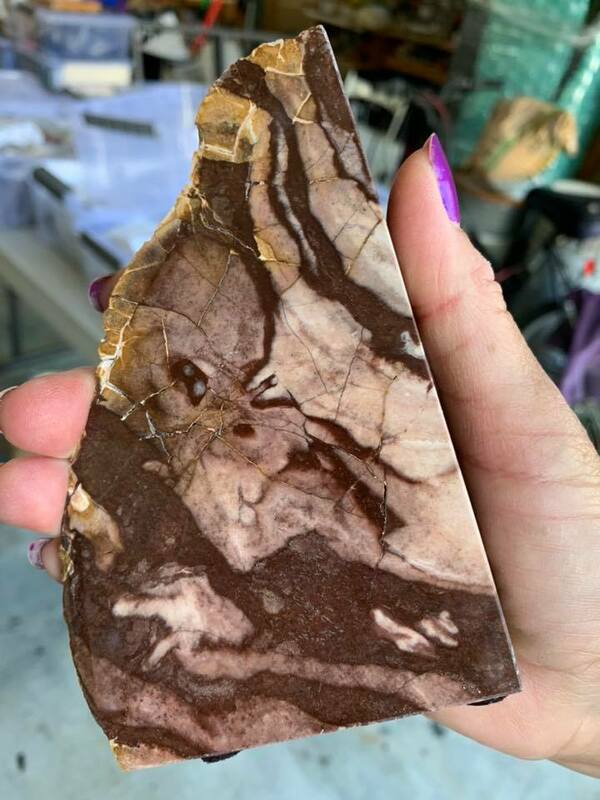 Founded in 1962, The South Orange County Gem and Mineral Society is a nonprofit organization dedicated to stimulating interest in the Earth Sciences and Lapidary Arts by furthering the knowledge of its members and the public, by disseminating knowledge, methods, and procedures for the study, collections, and classification, of rocks, minerals and fossils, and the methods to cut, alter, fashion, and convert Earth Science for specimens for lapidary purposes. Each member steps up to do their share – We look to members for support of club activities, functions, and events. 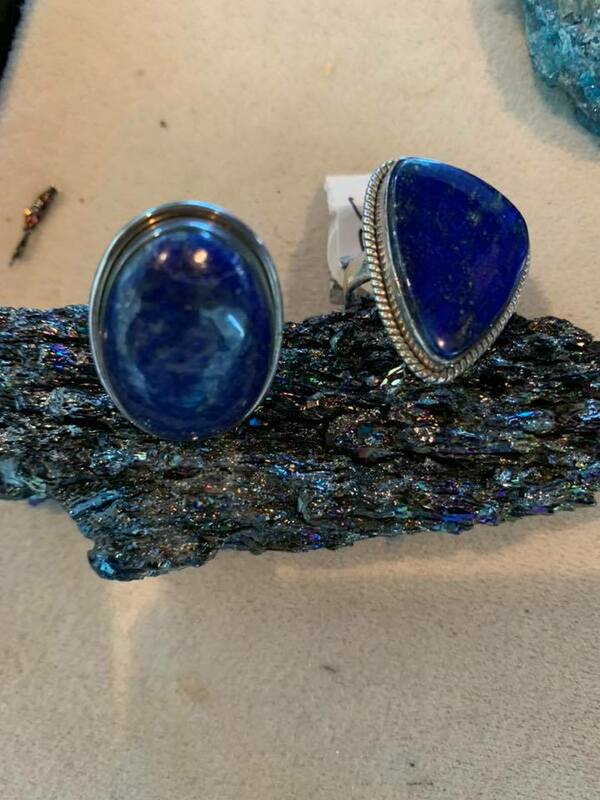 Membership is open to those with an interest in rocks, minerals, gems, Earth sciences, lapidary, jewelry making, related areas of crafts or collecting, and a general desire to spend time with other enthusiasts. 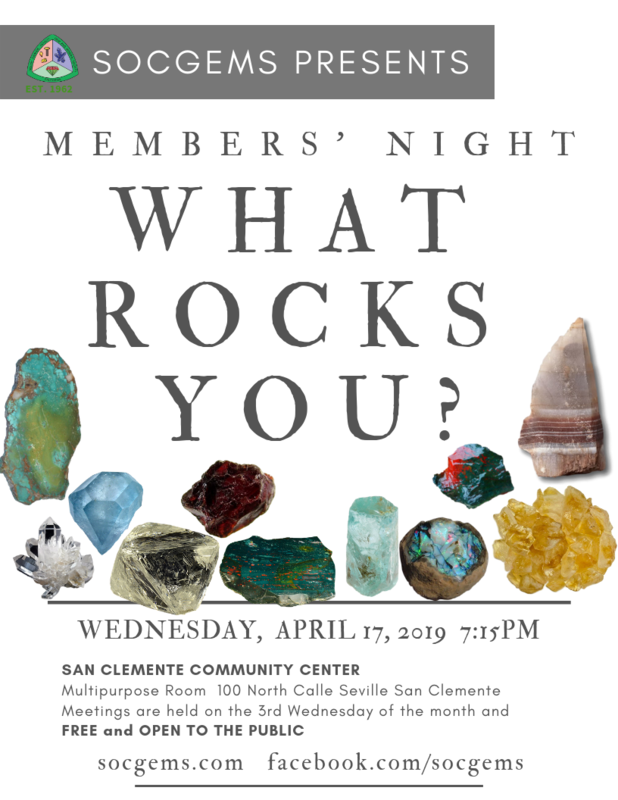 April 2019 /Members’ Night ::: What Rocks You? Each month club and community members are treated to special guest speakers – experts in their fields! Located in the multi-purpose room at the San Clemente Community Center (enter on Avenida del Mar, next to the library), club meetings are held the 3rd Wednesday of the month, begin at 7:15pm, are free and open to the public. Our club serves South Orange County, CA – including Dana Point, Laguna Beach, Newport Beach, Mission Viejo, San Juan Capistrano, Ladera Ranch, and more. LEARN MORE about our meetings, our club, and membership HERE. We hope to see you at our Monthly Meeting! 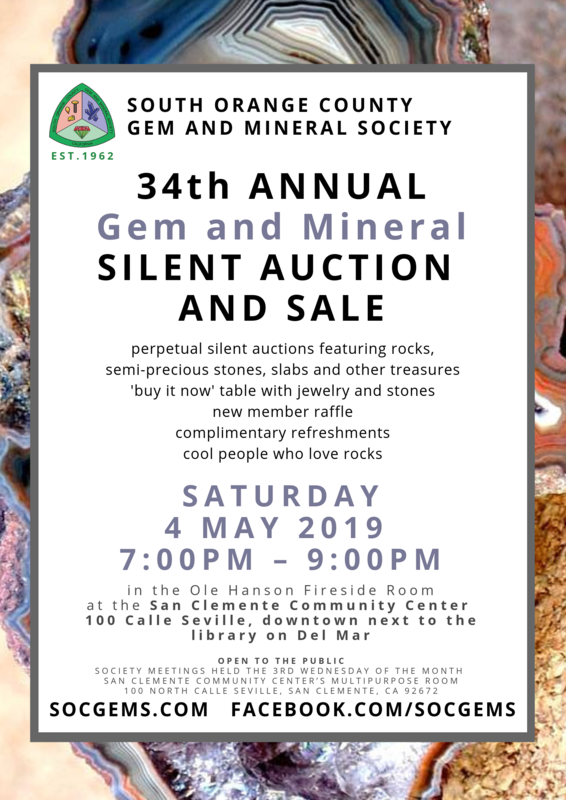 Rough, Crystals, Jewelry, Raffle, Snacks – what’s not to like?!! Rock Lovers grab your hammers – let’s get out and EXPLORE! Join us for single and multiple day field trips to educational events, rock hunting excursions, and more. Learn to cut, polish, and engrave stones and gems for jewelry making. Members have access to the equipment and the professionals! 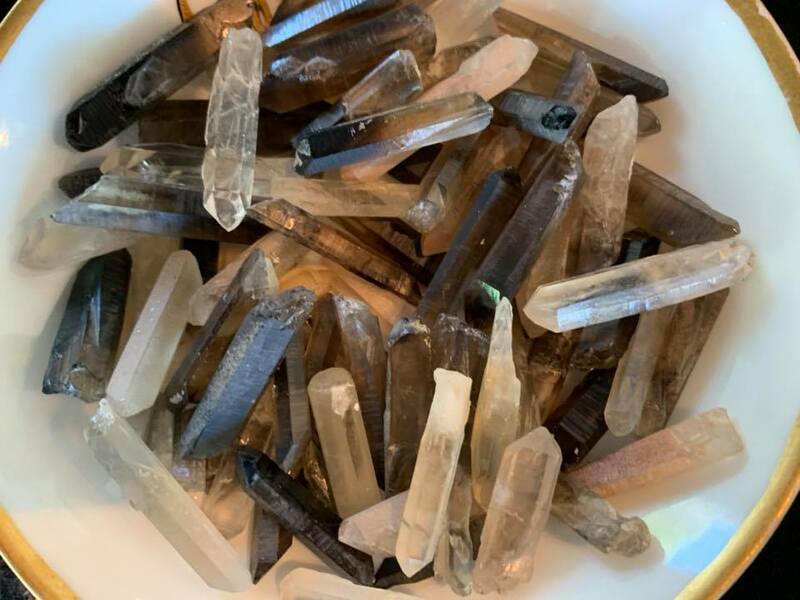 Club Members are welcoming, inclusive, and happy to share their passion for rocks and minerals and gemstones! Held at the San Clemente Community Center, Monthly Meetings are on the third Wednesday of the month – They are open to all so stop by – we’d love to meet you! Club members have access to many learning opportunities including expert guest speakers, skills demos, an extensive lending library, and more. 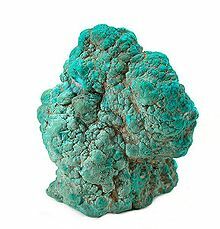 The objective and purpose of the CFMS is to disseminate knowledge of mineralogy, the earth sciences and the lapidary and jewelry arts and to encourage study of these subjects through association of gem and mineral societies, presentation of public exhibitions and programs, field trips for exploration, study and collecting of specimens, encouragement of interest in mineralogy, paleontology, lapidary, jewelry arts and related crafts, and the establishment of museum quality exhibits of gems and minerals and other earth science related specimens and items. All are Welcome – JOIN US! 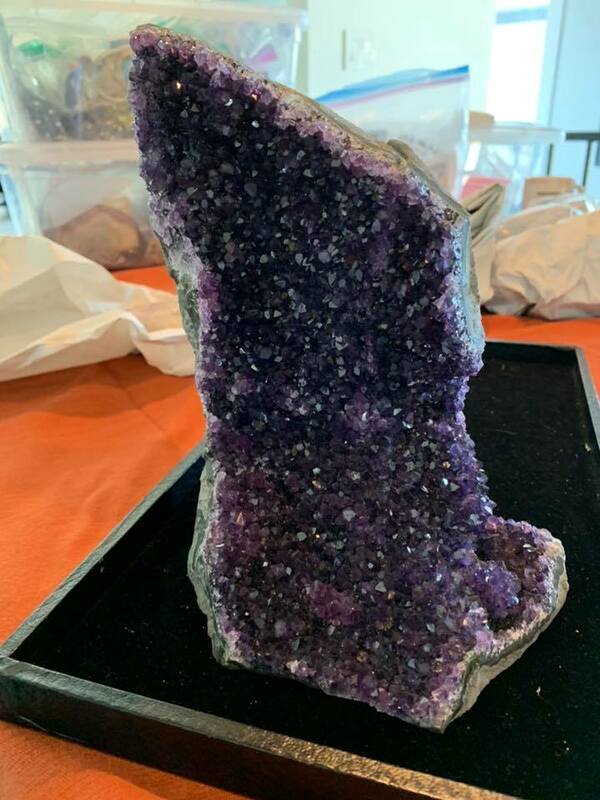 The South Orange County Gem and Mineral Society services Dana Point, Laguna Beach, Huntington Beach, San Juan Capistrano, Newport Beach, Anaheim, Brea, Tustin, Orange, Buena Park, and more. We meet in beautiful San Clemente, CA. 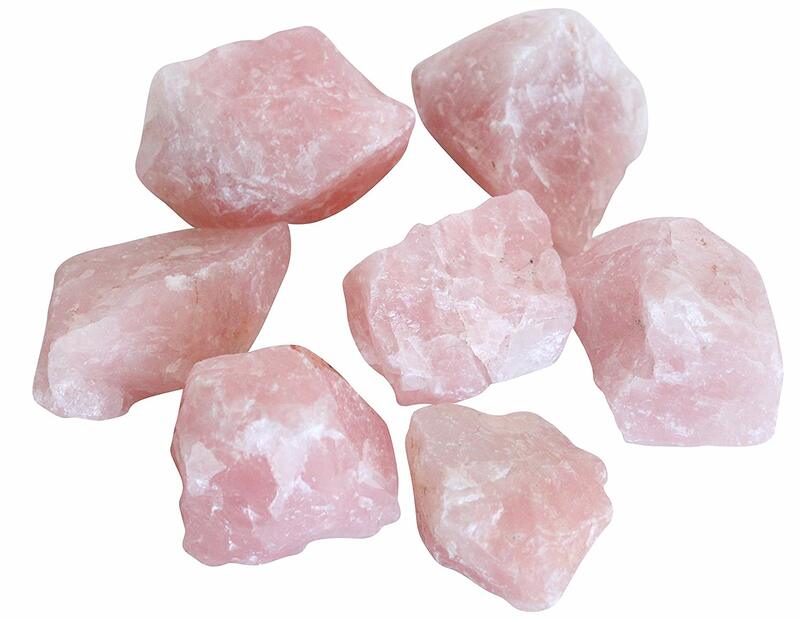 SOUTH ORANGE COUNTY GEM AND MINERAL SOCIETY is a 501c(3) Nonprofit Corporation. All donations are tax deductible. 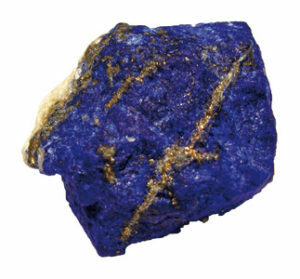 YOUR DONATIONS help the club grow, allowing us to share the enthusiasm and education of gems and minerals. THANK YOU!